The Season of Coming Grace! Called to love people, to set them free, and to grow God’s church, pastoring has been Loren’s lifelong passion, a calling now spanning four and a half decades. Recognition as a prophetic voice was never his ambition. 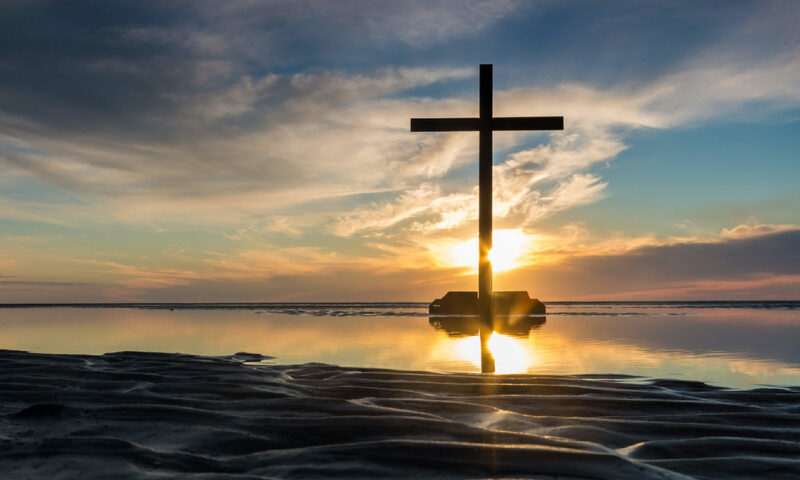 His passion for people and the church, however, have led directly to a prophetic calling and the need to hear the voice of God so he could help prepare God’s people for the coming days. In recent years everything Loren has done, from his work as a songwriter to his preaching, teaching and writing books, has been seen and interpreted by the wider body of Christ as prophetic in its impact. As John Sandford’s son, it seems heritage can be inescapable. As a pastor/prophetic voice, Loren always speaks from the Father’s heart, the heart of a shepherd training up those prophetically called, as well as those gifted in other areas of ministry. In 1973 he completed a B.A. in music education, then completed his Master of Divinity degree from Fuller Theological Seminary in Pasadena, California in 1976. Since then, he has served four churches full time, planting two of them himself, including New Song Church and Ministries where he remains the senior pastor. In 1979 and 1980 he was the co-director of Elijah House, the ministry his father and mother founded in 1973, where he did prayer counseling and traveled the world teaching inner healing. Initially ordained in a mainline denomination where he served on the national board for the Charismatic Renewal group within that denomination, he has since served in the Vineyard (1988-1992) and from 1996-2013 was affiliated with Partners in Harvest, the church affiliation that grew out of the Toronto Airport Christian Fellowship (now known as Catch the Fire). He served a number of years as a regional coordinator in PIH and as a recognized prophetic voice within the movement. Now independent, he is involved in overseeing churches and mentoring pastors in several states. Loren has released 14 CDs of original music, mostly for worship, and is the author of six books currently in publication. New Song is a revival church deeply rooted in the REVELATION OF THE FATHER’S LOVE and touched by the worldwide outpouring of the Holy Spirit that began in 1994. We love the Presence of God and pursue the heart of the Father through intimacy with Jesus, passionate worship and a culture of honor. In so doing, we seek to prophetically impact our city, our nation and the world to change lives and affect cultures for Jesus. At New Song we remain committed to deep and genuine extended worship of the Living God with excellence and without compromise. Those who worship must worship in Spirit and truth (John 4:23-24). Take a little time to bless the Lord. Take a little more time to experience Him. But you won’t find this a traditional experience. It’s a lot more interesting than that! We worship in a free and unique, informal and contemporary style (a little rock ‘n’ roll, a little blues, a little jazz, and some of our own musical influences) in the midst of which the Lord always shows up in power. 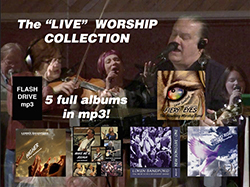 The “LIVE” Worship Collection, and The Meditation Collection — Five MP3 Albums — $25.00 each! R. Loren Sandford grew up a preacher’s son in the Congregational Church in Illinois, Kansas and north Idaho. As a teenager he played rock music professionally over three states and two provinces of Canada before leaving to attend the College of Idaho. In 1973 he completed a B.A. degree in music education, then moved to California and attended Fuller Theological Seminary in Pasadena, earning a Master of Divinity degree in 1976. Since 1976 Loren has served four churches full time, successfully planting two of them himself, including New Song Church and Ministries, Denver, Colorado (www.newsongchurchandministries.org) where he remains the senior pastor. In 1979 and 1980 he co-directed Elijah House (an international ministry in Christian counseling and counselor training) and continues to be in demand internationally primarily for teaching but also for leading worship. Initially ordained in a mainline denomination where he served on the national board for the charismatic renewal group within that affiliation, he has since served in the Vineyard and with Partners in Harvest, the family of churches associated with Catch the Fire Toronto (formerly the Toronto Airport Christian Fellowship) and the renewal centered there. Now independent, he oversees churches in several states. In 1991 he was the worship leader for the first Promise Keepers mass men’s meeting at the CU Event Center in Boulder, Colorado and has released 14 CDs of original music, most of it for worship. 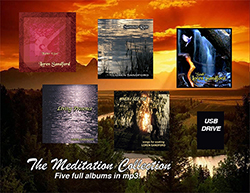 In addition to the music, Loren is the author of “Purifying the Prophetic: Breaking Free from the Spirit of Self-Fulfillment”, “Understanding Prophetic People: Blessings and Problems with the Prophetic Gift”, “The Prophetic Church: Wielding the Power to Change the World”, “Renewal for the Wounded Warrior: A Burnout Survival Guide for Believers”, “Visions of the Coming Days: What to Look for and How to Prepare” and as of April, 2015, “Yes, There’s More: A Return to Childlike Faith and a Deeper Experience of God”.